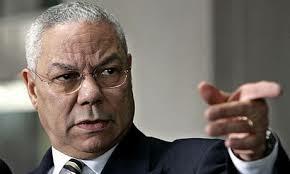 In his memoir It Worked for Me: In Life and Leadership, Colin Powell provided a valuable list of life lessons accompanied by a collection of personal anecdotes. For this great man, there are 13 Rules to how to live life. Rule 1. It ain’t as bad as you think. It will look better in the morning. Keep all things in perspective when having to make a tough decision. Give the matter the perspective of some time. Rule 2. Get mad, then get over it. Do not carry anger for any time. Instead of letting anger destroy you, use it to make constructive change. Rule 3. Avoid having your ego so close to your position that when your position falls, your ego goes with it. Whatever position you hold, check your ego at the door when you are making major decisions. Foremost, consider the good of the organization and people in the organization. Then, should the action fail, your intentions never do. Rule 4. It can be done! Exude optimist. Be positive. Leaders are about making things happen. Rule 5. Be careful what you choose. Consider wisely your choices. Project ahead and assess the best developments for your objective(s). Rule 6. Don’t let adverse facts stand in the way of a good decision. Solid leadership is often a matter of superb instinct. Leaders often stand alone on what they know to be the right decision. Rule 7. You can’t make someone else’s choices. While good leaders listen and consider all perspectives, they ultimately make their own decisions. Ultimate responsibility is yours. Rule 8. Check small things. Mind the details. Small details often ensure the success of your big decisions. Rule 9. Share credit. Share the credit, take the blame, and quietly find out and fix things that went wrong. Success is very much a team effort. Rule 10. Remain calm. Be kind. The difference between a good leader and a great leader is their degree of kindness. Kindness, like calmness, reassures loyalty and galvanizes respect and confidence. Rule 11. Have a vision. Be demanding. Your vision must inspire – incite and enthuse. Your purpose is the fuel for the vision. It energizes – drives it. Be compelling and excite those around you. Rule 12. Don’t take counsel of your fears or naysayers. Fear is a normal human emotion that has the potential to be a paralyzing force. So, acknowledge your fears, stare them down, but don’t let them guide your decisions. Rule 13. Perpetual optimism is a force multiplier. Perpetual optimism, believing in yourself, believing in your purpose, believing you will prevail, and demonstrating passion and confidence will have an amazingly beneficial impact on those around you. There is something to be said for the leader who refuses to accept defeat but continues to adapt until he is successful.